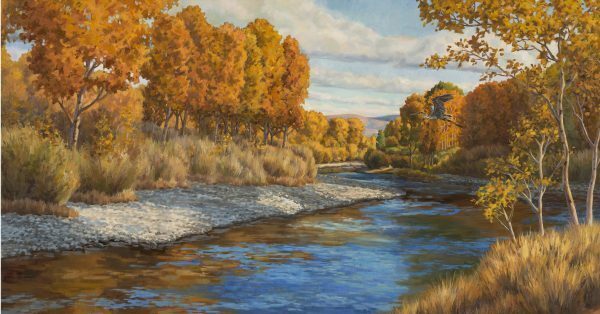 Boise Painting Classes and Art Classes. Students will learn basic techniques such as using color and value to create depth. Additionally, we learn how to see with an artist’s eye and capture what we see on the canvas. I teach anyone who has the desire to learn the art of painting. Classes are kept small to ensure individualized attention and instruction. My classes are “skills-oriented” and not “project-oriented” so my methods are particularly well suited for students who want an arts curriculum that goes beyond crafts. My classes are best for students age 14 to adult; however, accommodations may be made for gifted and/or mature students. Click the links below or scroll down for course descriptions and current class schedule. Beginning Painting 1 Course Description: In Beginning Painting 1 we build upon the basics of Intro to oil class. Students will learn more sophisticated approaches to color mixing, value scales, and more varied techniques for applying paint. We will work with limited color palettes and extended color palettes. Geared for anyone who wants to expand their understanding of painting. Outdoor Landscape Painting Class Learn the approaches and techniques of outdoor landscape painting. We go out to locations around the Boise area. 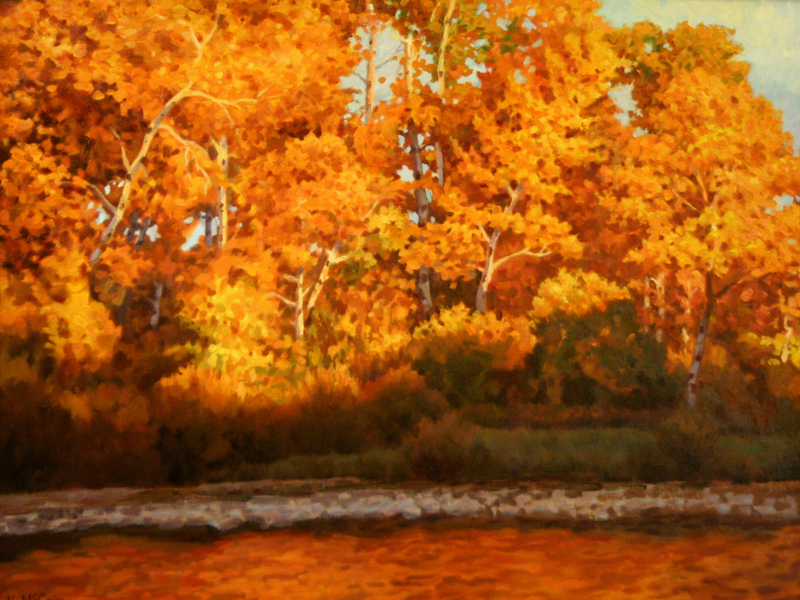 Learn how to create impressionistic landscape paintings. Course Description: This painting class is a little different from my other painting classes. This class still has individualized attention, and lectures but is open to painting students of all different levels beginning students, intermediate and even advanced. The instruction is tailored to the students at each level. Course description: Intermediate painting is comprised of 7 different and revolving painting classes the build on the basic concepts of painting. Each class focuses on different concepts such as indirect painting, using grounds in painting, color theory and impressionist painting, capturing the temperature of light, drawing foundations for painters, perspective, and aerial perspective, advanced color control, and color mixing. These classes are designed to take your painting to the next level and help you develop sensitivity to controlling your ability to structure, temperature and precise control over your painting. Contact me directly about which class is being offered such as a. color theory or b. drawing for painters and so forth. Advanced Painting Course Description: Development of personal style is explored. Students create their own project goals such as creating a painting of horses or painting a portrait of a family member or learning to paint landscapes. Students provide their own materials and bring their own reference for executing paintings. Then with the help of the instructor, the students will create their painting at their own pace with the Instructor offering guidance and insights. Contact me directly if you would like to take this class. As a young man in high school, I had always wanted to learn how to draw and be an artist. I felt I didn’t have the natural-born talent to become an artist. While in high school I took an art class to avoid taking some other class I didn’t want to attend. Little did I know that the decision to take a Sophomore beginning drawing class would change my life forever. My art teacher, Mr. Holmes, let us know as students that anything we wanted to do in art was possible if we put our minds to it, worked hard in class, and learned from the best artists. He told us that it didn’t matter what natural ability you had; it mattered how hard you worked. I latched onto that idea. I was inspired by the idea that if I only worked hard and learned from the best artists, I could do the type of artwork I wanted to do. I began working several hours after class and much more still at home. All these years later I have achieved my dream to become a professional artist. It was far from easy, but it was worth the effort. I hate to think how my life would be different if I hadn’t taken that art class. That class was the first step towards achieving my dream. Creating art gives me so much joy. It is a never-ending adventure. It is because of my experience I believe arts education is so important. As an artist, I enjoy mentoring and teaching others how to improve their art skills. I believe it is important, for everyone who has the desire to learn more about drawing and painting, to have opportunities to learn from professional artists.